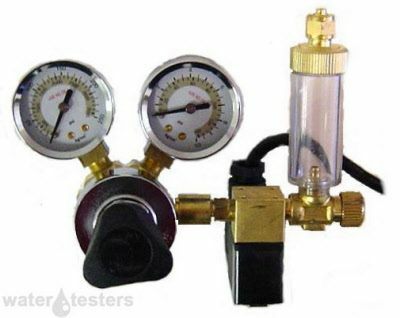 This is the CO2 regulator to have. Many people use it when increasing CO2 gas in the aquarium or hydroponic rooms as it is easy to set up and very economical but reliable. The MA957 by Milwaukee instruments is great for aquarium uses and includes a bubble counter and solenoid. The Milwaukee MA957 CO2 regulator has a 6 month warranty. Can be used in conjunction with the SMS122 or the new MC122 by Milwaukee. This pH controller is ideal for controlling pH levels in aquariums as when gas is released your pH decreases in bodies of water which needs to be monitored or controlled so your fish can have balance in your tank.